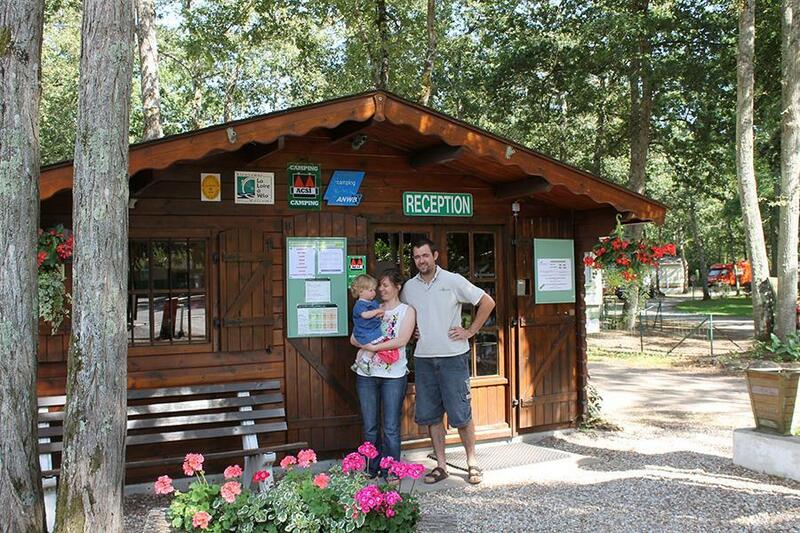 At Tours Les Acacias in La Ville-aux-Dames (Indre and Loire) camping costs as little as €18,- per night during low season with CampingCard ACSI. At one of the 88 touring pitches you will get a discounted rate during the period 01-01-2019 - 04-07-2019 and 23-08-2019 - 31-12-2019. At this campsite you can not only use your CampingCard ACSI for inexpensive camping, you can also use your ACSI Club ID (as an alternative ID). A quiet and partly shaded campsite where peace and hospitality are the order of the day all year round. Passers-by and longer stayers can enjoy the many opportunities. Route 'Loire à Velo' from the campsite. Free wifi. Great stopover staff always polite and helpful. Shower/toilet block adequate. Walk/ cycle route close by. Stayed here in April for 4 nights. Very quiet with most people just staying overnight but we found a lot to do, great for cycling, sightseeing and visiting vineyards, very close to Loire river. Cycle to Tours or catch a bus which runs every half an hour. Supermarket 15 mins walk or short cycle. Staff very helpful, good English as well, which does not help us practice our limited French. Road a little noisy during the day but quieter at night. Excellent welcome by the reception upon our arrival and great service throughout our 2 night stay. Rode our bikes into Tours along the "Velo de Loire", takes you right into the centre where many a fantastic restaurants can be found. Campsite itself was tidy and well maintened and the washrooms very clean. Would recommend as a great stopover or as a short stay destination. Arrived in December for a 1 night stop over. Very accommodating staff & site was lovely & quiet. Huge motorhome pitches which was great as we had a large trailer with us. Would definitely use this again. We only had an overnight stay here but it was lovely. The gentleman on reception was very friendly and helpful. The showers were lovely and very clean. We would definitely stay again. There was a friendly welcome here and the site was generally ok. There is a large supermarket close. The free Wifi worked ok. The road at the top of the site was blocked off (fun getting in!) so the site was very quiet other than the owls! The facilities need updating and some deep cleaning. We'd use it again as a stopover but I don't think we would stay. Although site is described as being quiet, we found the road that runs along one side is noisy. There is also a train line along the opposite side, military planes fly overhead, so no not quiet. Arrived at 2pm when the office opened and were given a choice of pitches. We requested a sunny pitch as far away from the road as possible, based on reviews on this site, and the helpful lady recommended the perfect spot. Facilities seemed clean and more than adequate, grounds were well kept and position of the site good for visiting Tours and local wine producers. Only one small downside that we discovered - we didn't notice that we had parked under an oak tree and the acorns falling on our roof sounded like bullets! Entirely our fault and easily avoided. Would you like to book Tours Les Acacias or request more information? You can do both using the information below or by visiting the campsite's website. A10 exit 21. Accessible from Tours. 6 km direction Montlouis. Clearly signposted. CampingCard ACSI will send your information request to "Tours Les Acacias".